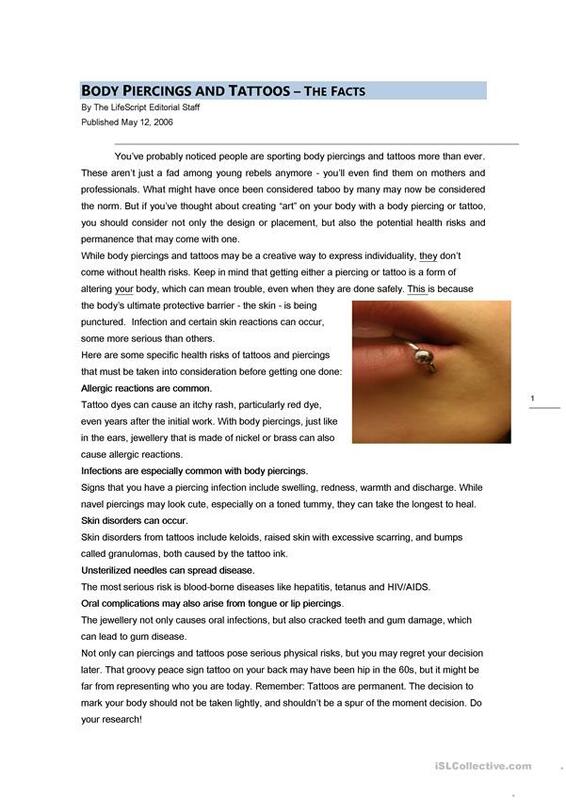 Reading and comprehension worksheet about the health risks of tattoos and piercings that must be taken into consideration before getting one done. It also advises students to choose an establishment that follows all health and safety guidelines that prevent the spread of diseases. 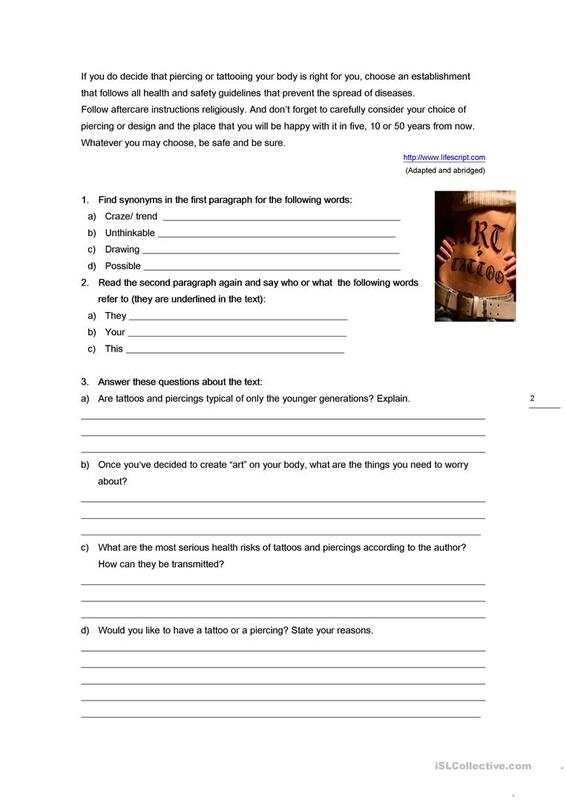 The present downloadable printable is intended for adults at Pre-intermediate (A2) and Intermediate (B1) level. It is useful for strengthening your pupils' Reading skills. It is focused on the topic and words of Body and Body art, piercing, tattoes.